With few stealth games on the market, République makes a strong impression, thanks to its carefully crafted narrative and world. It’s been a long race to the finish line for developer Camouflaj, and their stealth adventure game République. I’m a big fan of games that try to do something different; ‘games for change’ if you will. Still, it’s been difficult to wholeheartedly recommend République in the past. An episodic game, the first part released in late 2013, and over two years later, the final fifth episode is finally set to release. I was originally turned onto République via its Kickstarter campaign, mainly because of its stealth action roots, and that some of the talent from the Metal Gear series were involved in its production. And in many ways, I’m reminded of Metal Gear when I play République. They are whole-heartedly different games that sit on opposite sides of the same spectrum, but by and large, they both place an emphasis on unique narrative delivery and gameplay mechanics. 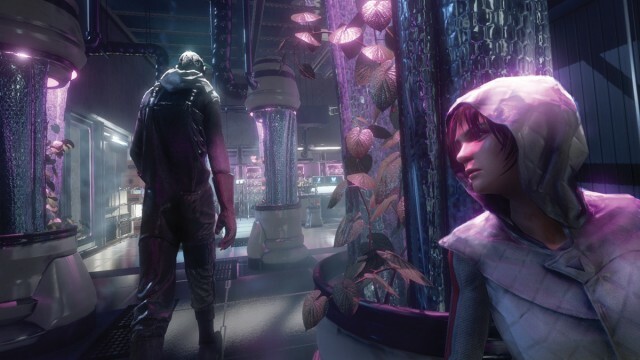 While République was originally designed to be played on iOS devices, it’s since been ported to both PC and the PlayStation 4, and it never feels held back or inhibited by its mobile roots. The game’s introductory cutscene is well acted and choreographed, and the high production values continue to impress throughout all of the episodes. Don’t get me wrong, this is by no means a AAA game like Metal Gear or The Witcher, but for a title that debuted on the iPad, it’s presented very well. The transition from mobile to console sees some improved, cleaner visuals and the voice acting is well performed, with veteran talents such as Jennifer Hale and David Hayter (both of Metal Gear fame) being featured fairly prominently. While it has received a graphical upgrade of sorts, the minute-to-minute action remains largely the same on consoles, with a different control scheme tying it all together. 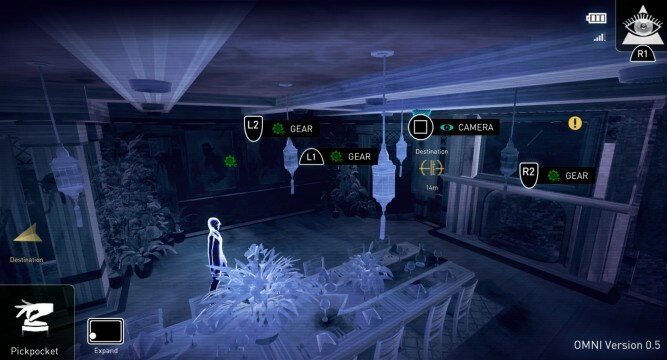 As the player, you navigate the facility not on foot, but by tapping into camera feeds and other pieces of technology using a system called OMNI View. By jumping between cameras, you can effectively navigate the facility, checking up on nearby guards, and hacking into doors and other areas. You can also use OMNI View to dig into the background of the employees of the facility, gaining valuable insight and information that you can use against them. 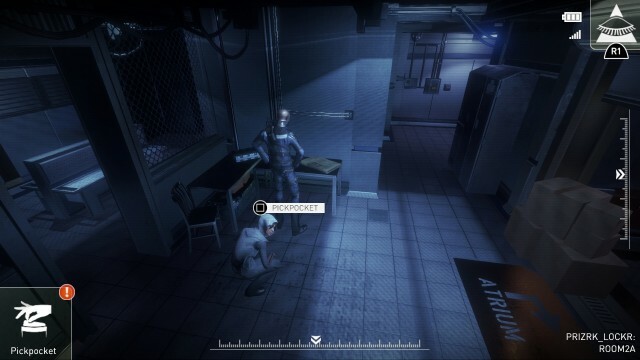 Exploring the facility through security cameras is only one side of the coin though, as the rest of the gameplay focuses on directly controlling Hope, allowing her to sneak around the facility by evading drones and security guards. This is one of the bigger departures from the mobile version, as you never had direct control over Hope before; instead, you were relegated to tapping around the screen, which prompted her to move on her own. The new, direct control scheme works surprisingly well, considering the game uses static camera angles fairly often. A new cover system, and the mapping of actions to face buttons makes controlling both Hope and the OMNI View a much more precise, and manageable affair. With all five episodes available in one bundle, the simple act of playing through République is much more enjoyable this time around, mainly because you won’t have to patiently wait for each episode to release. Playing episodes back-to-back also helps to paint clearly see the improvements between each individual episode. Enemy AI and patterns received a noticeable improvement between Episode 1 and 2, making it easier to suss out patrol routes and act accordingly. The developers also do an admirable job of keeping things fresh. Despite being built on simple gameplay mechanics and loops, some of the puzzles excellently tie into the minute-to-minute narrative. In Episode 2 for example, you have to play detective in a museum, in an attempt to learn more about the life of the facility’s overseer, in order to correctly answer password security questions. Episode 3 tasks you with creating false news reports in an attempt to frame security personnel, in order to escape the facility. And while I won’t spoil too much of the end game, Episode 4 takes place outside of the facility, injecting some survival horror by taking place in a rather creepy cemetery. While I wouldn’t go so far as to say that République completely reinvents the stealth-action genre, it does stand as a remarkably well-crafted title that places just as much emphasis on the narrative and character interaction as it does the on the actual sneaking around. Action junkies won’t find much to write home about, but anyone who enjoys slower-paced affairs, or games that just try to do something novel and unique, shouldn’t hesitate to give this a go.